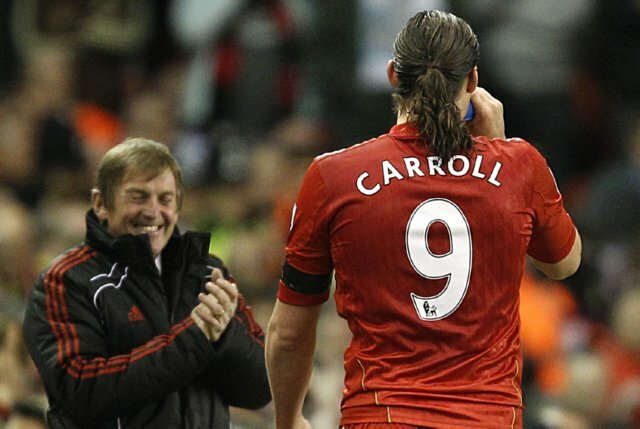 A flurry of first-half goals from Andy Carroll, Dirk Kuyt and Andy Carroll again was enough to see Liverpool triumph over title pretenders Man City at Anfield last night, hauling themselves to within five points of fifth-placed Tottenham – though Spurs do have themselves a game in hand of Kenny Dalglish’s resurgent charges. 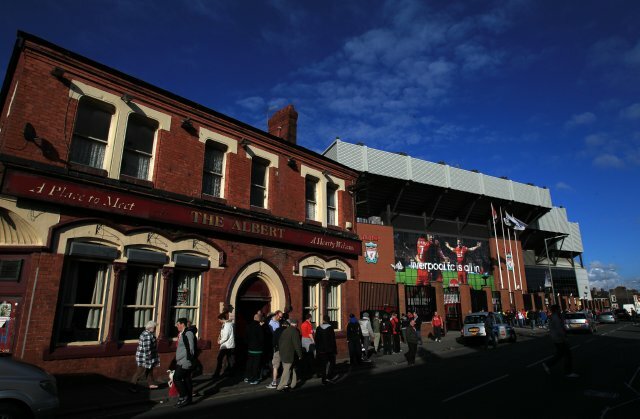 Liverpool nearly went in front as early as the sixth minute, when Luis Suarez saw his goalbound effort turned onto the foot of the post – though it was to be strike partner Andy Carroll’s night, with the rangy Geordie opening his account for the club in trademark, bustling fashion. 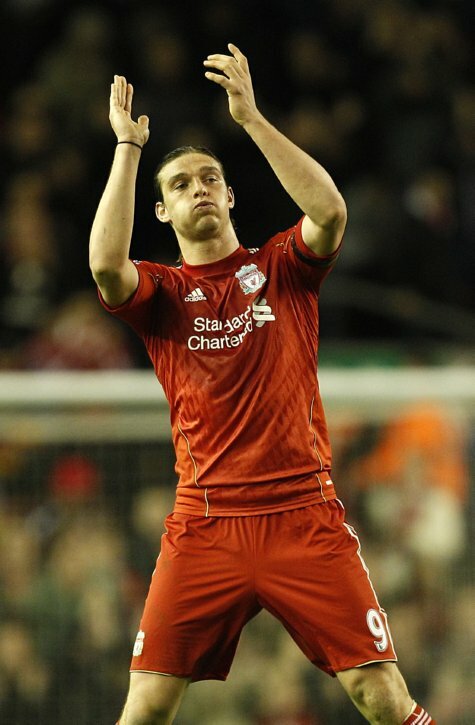 Carroll opened the scoring in the 13th minute, preying on a ricochet to thump a low drive past Joe Hart from 25-yards then, a minute after Dirk Kuyt had slotted home Liverpool’s second in the 34th minute, the be-ponytailed striker darted across the area to meet Raul Meireles’ arcing near-post cross, only for Aleksander Kolarov’s attempted clearance to hit him and ping past Hart once again. 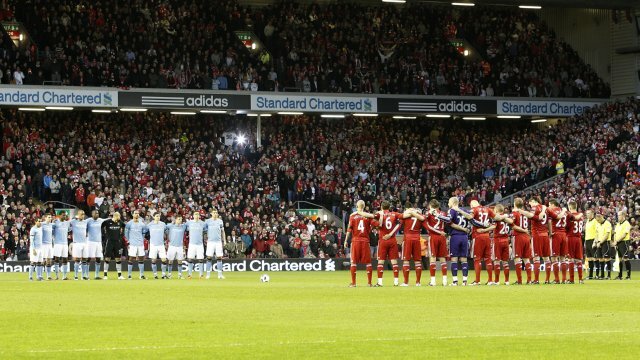 After twanging a hamstring in the build-up to Carroll’s opening goal, Carlos Tevez was forced to limp out of the proceedings after quarter-of-an-hour and City duly struggled to pick their way through the Liverpool rear guard (containing 18-year-old debutante John Flanagan) without him – as has been the case all season. As a result, Tevez is now almost certain to miss the FA Cup semi-final derby with Manchester United on Saturday. 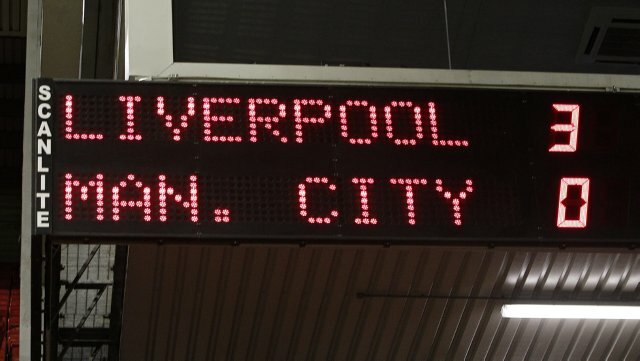 Roberto Mancini admitted to ‘making mistakes’ after the game, and bringing Mario Balotelli on to replace Tevez probably ranks up their with the biggest on the night – the huffy Italian striker contributing little of note despite playing for the best part of 75 minutes. Can someone tell me what that bug is supposed to mean? 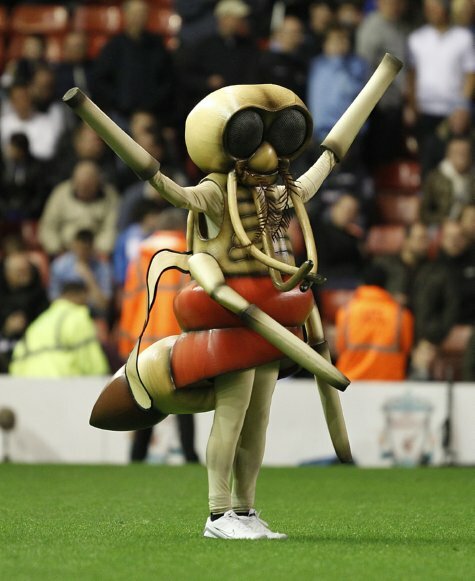 It was, in fact, Mozzy Man – the mascot for the ‘Malaria No More’ campaign. The Skrtel caption is amazing.